Keep your fleets running with this unique after sales support package for the management of BTROS spares across all your fleets. 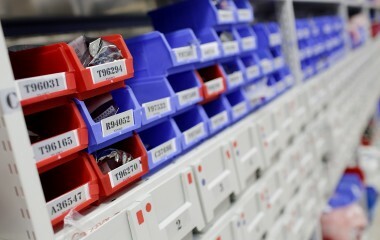 The spares shall be stored and maintained by BTROS in a ready for use condition and delivered direct to depots when required, with lead times that match customer’s requirements. Our aim is to provide an efficient and cost effective spare support service for train builders and end users alike, by applying our extensive product and application knowledge. With the support of our suppliers we aim to provide very competitive and timely solutions to prevent operators loss of vehicle down time when system failures occur.